The funeral of Aretha Franklin was a public event that was attended by a slew of celebrities such as Ariana Grande and the Clintons. And they made it weird. Here are some of the things that were wrong about the funeral. Aretha Frankin was known as the Queen of Soul and the events surrounding her funeral were definitely fit for a queen. The 8-hours long service was streamed by several news networks such as CNN, MSNBC, Fox News, The Word Network and BET. It was lead by Bishop Charles H. Ellis III and was addressed by Rev. Al Sharpton. Among those who paid tribute to Aretha at the service were Ariana Grande, Bill Clinton, Faith Hill, Fantasia, The Clark Sisters, Ronald Isley, Chaka Khan, Jennifer Holliday, Jennifer Hudson, Shirley Caesar, Stevie Wonder, Eric Holder, Gladys Knight, Tyler Perry, Smokey Robinson, and Yolanda Adams. In short, it was a made-for-media event. 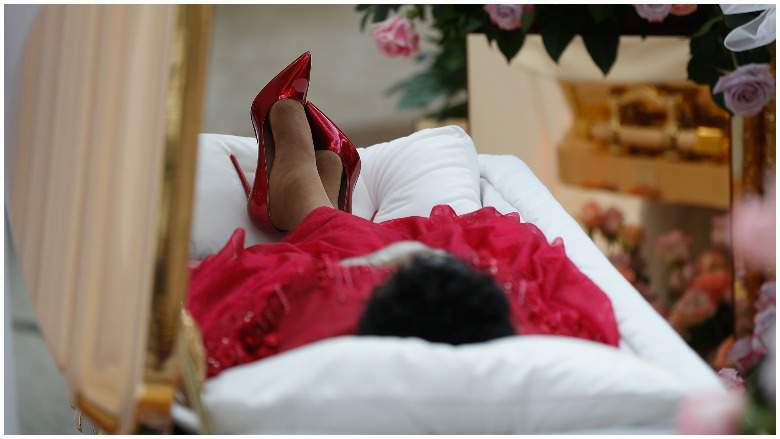 When I saw the picture of Franklin laying inside her casket, legs crossed, while wearing ruby-red 5-inch Christian Louboutin pumps, I sensed that the funeral would be … different. During Franklin’s 4-day “farewell tour”, she wore 4 different outfits, complete with makeup, custom-made earrings and so forth. One can argue that Aretha would have approved of this funerary display based in style, fashion, and luxury. She lived as a diva so it is only normal that she would “depart” as a diva, right? I guess, I have no idea. However, I’m pretty sure she wouldn’t have approved of the other incidents that occurred at her funeral and the mass media response to it. Here are some of the things that were just wrong with the funeral.